HUNT Real Estate ERA has been named a Platinum Award winner by the Cartus Broker Network. The award was presented at the annual Broker Network International Conference, March 10-12, 2015, at the JW Marriott Desert Springs Resort & Spa in Palm Desert, California. Cartus (http://www.cartus.com) is a worldwide leader in employee relocation solutions. Platinum is the highest level of the Excellence Awards presented to principal brokers. Excellence Award recognition is based on performance results related to a wide variety of goals including customer service, cost management, and effective analysis and marketing of homes. Fewer than 26% percent of the Network’s principal brokers achieved Platinum-level recognition for their 2014 performance. About the Cartus Broker Network Cartus Broker Network is the nation’s leading network of 804 market-leading real estate firms representing approximately 3,000 offices and nearly 106,000 agents. 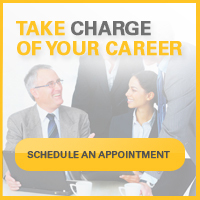 Cartus provides trusted guidance to organizations of all types and sizes that require global relocation solutions. The company serves more than half of the Fortune 50. This year marks the 60th anniversary for Cartus, which provides service in over 165 countries, providing companies around the world with the full spectrum of relocation services, including language and intercultural training. Cartus is part of Realogy Holdings Corp. (NYSE: RLGY), a global leader in real estate franchising and provider of real estate brokerage, relocation and settlement services. To find out how our greater experience, reach, and hands-on guidance can help your company, visit www.cartus.com; read our blog at www.cartusblog.com; or click www.realogy.com for more information. HUNT Real Estate Corporation is the parent company of HUNT Real Estate ERA and operates nearly 40 branches throughout western, central, and upstate New York, and Phoenix, Arizona. Founded in 1911, HUNT Real Estate ERA is the largest family-owned and operated real estate company in the area and is ranked the 44th largest real estate firm in the nation for closed transactions in 2013 by REALTrends. HUNT also operates a commercial brokerage, mortgage banking firm, two insurance agencies, title agency, an award-winning Relocation division, residential building company, and a fee-for-service brokerage. HUNT’s mission is to build its presence through successful sales associates, to grow profitably, and to provide the highest quality of real estate and homeownership services. 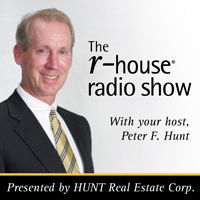 For more information about HUNT Real Estate, visit http://www.huntrealestate.com.